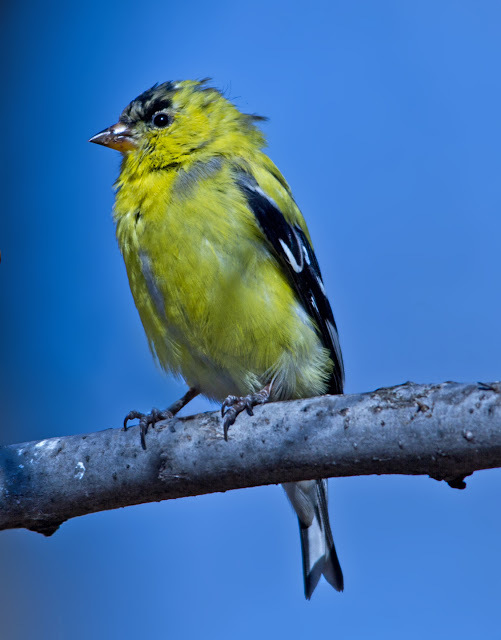 This goldfinch may look slightly disheveled from the April breezes, but there's no denying that he's golden, and growing more so every day. Compare to just a few weeks ago. Re the injured great egret at the Central Park Reservoir. Contact reabilitator Bobby Horvath. He lives somewhere on Long Island. He will probably come right away to capture and rehab the Great Egret. thank you for your observation and posting.